“Super Real”: when regular real just isn’t real enough. Hi-Roller Battle is strongly reminiscent of Cobra Command on the Sega CD. Both use extensive FMV footage and both have you (sort of) controlling an elite attack helicopter. Instead of fighting a vaguely defined terrorist organization like in Cobra Command, however, you’re tasked with thwarting the military aims of a small island-based country in Asia named “J-Land” (I wonder where that’s supposed to be?). 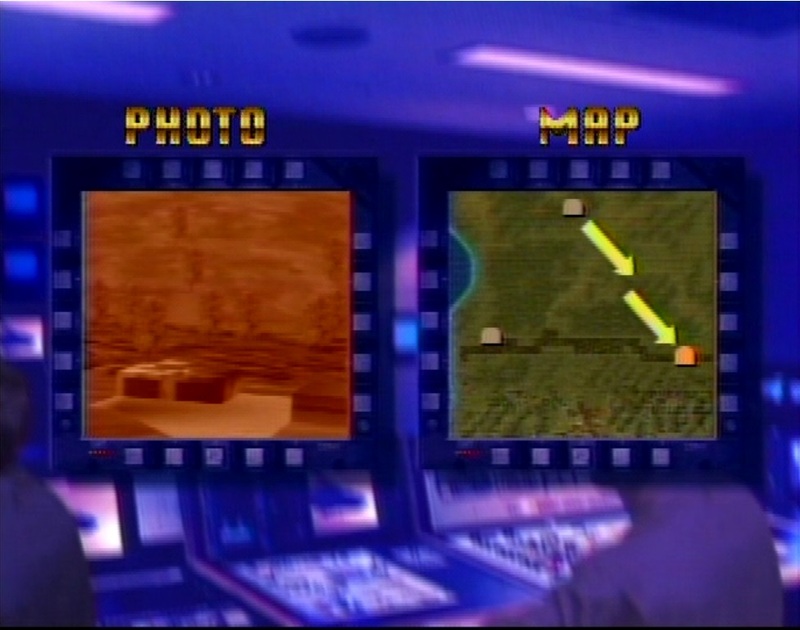 Don’t let the blocky graphics fool you, that’s all just an FMV backdrop. 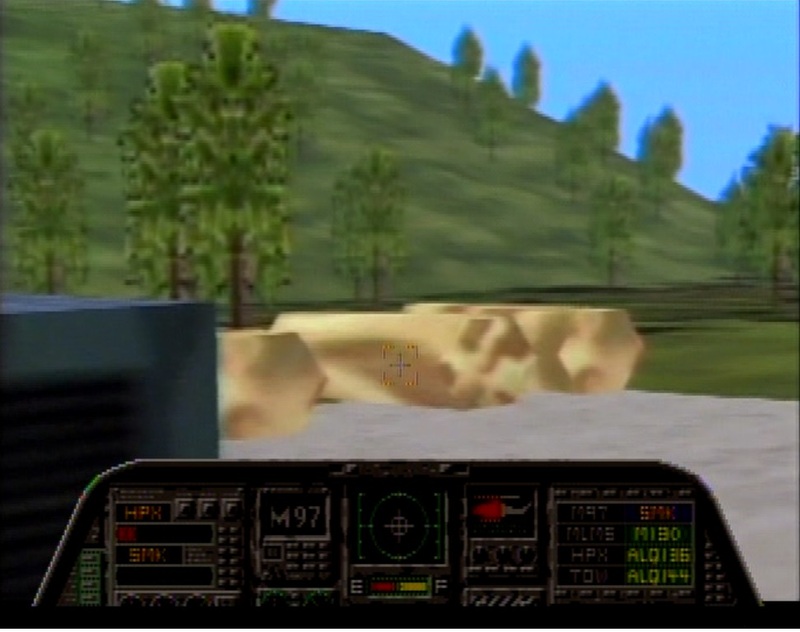 Like Pyramid Patrol, Hi-Roller Battle uses FMV footage of blocky 3D terrain and vehicles to give the illusion of depth. This amounts to you moving a cursor around the screen and shooting what baddies the game permits you to interact with. That orange dot will pay for messing with the hi rollers of America. Hi-Roller Battle is slow-paced and dull, due to the monotonous gameplay. 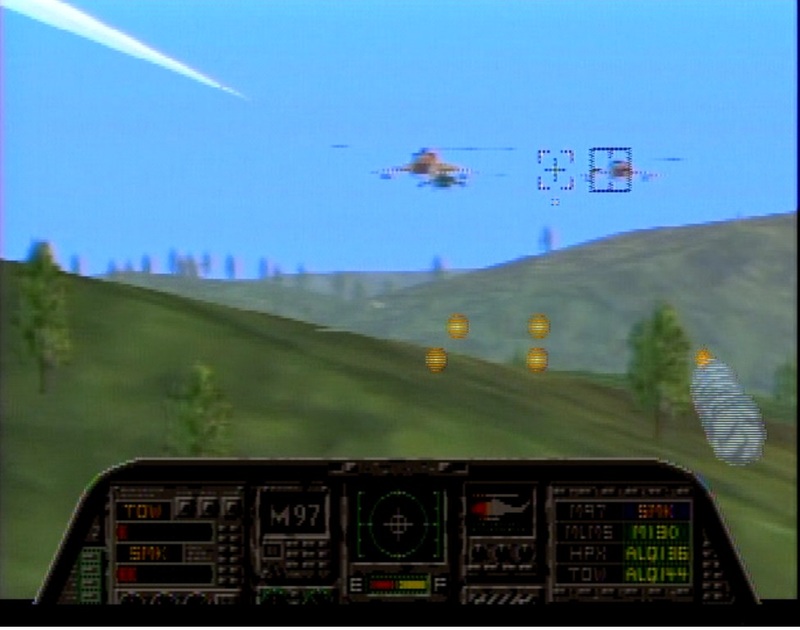 Each level is populated with enemy helicopters flying around the game’s FMV backgrounds (as well as a few fast-moving sprite-based ones generated by the Sega PAC), and unless they have a targeting reticule over them, you can’t hurt them. Even when you have the helicopters in your line of sight, you still may not be able to destroy them, thanks to the questionable hit detection. At least the explosions look nice. Your arsenal consists of a machine gun and several kinds of missiles that all seem to fire and act the same. I mostly stuck with the machine gun since the missiles were usually too slow to hit a target before it disappeared. Poor weaponry, combined with the slow cursor and the large amount of damage it takes to kill enemies, makes much of the damage you receive from enemy fire unavoidable. These missiles might look and sound fancy, but they’re all equally slow. 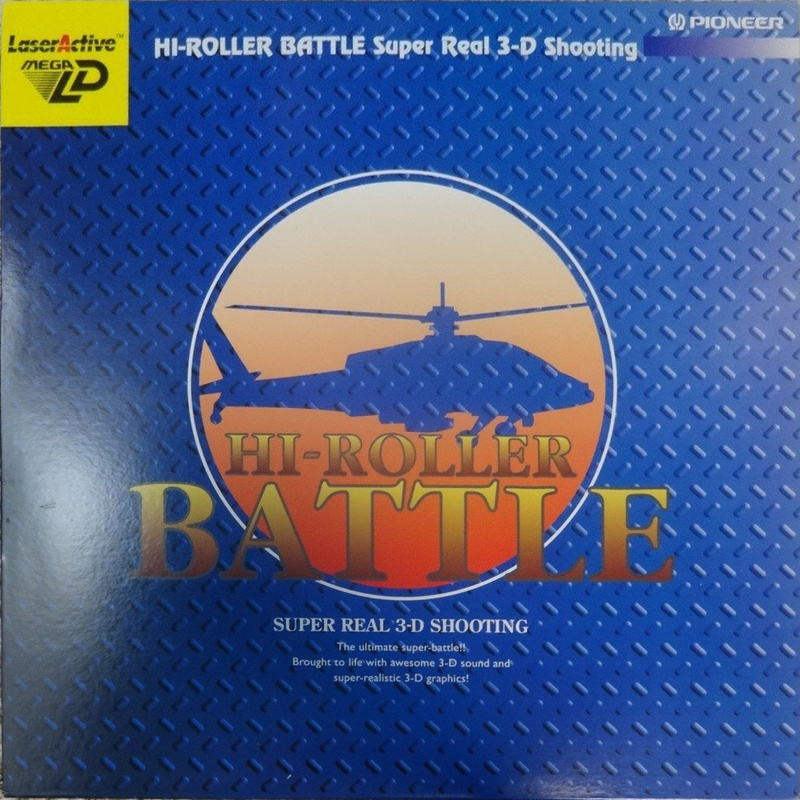 Hi-Roller Battle also has mission briefings voiced by a guy that sounds like Spottswoode from “Team America.” The briefings are meant to enhance the story, but since every level amounts to “shoot helicopters” anyway, they’re pointless – save for the unintentionally amusing voice actor. 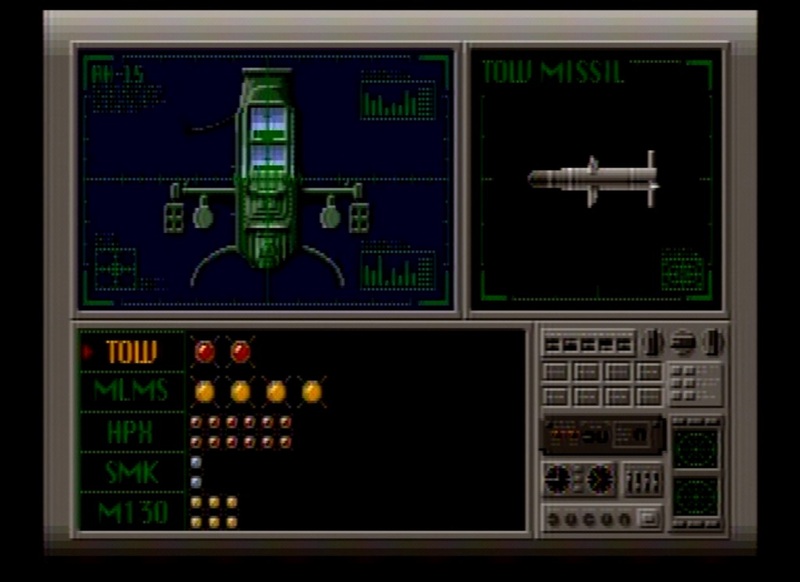 Missiles take longer to reach your target and are generally less effective. Hi-Roller Battle takes what should be a cool concept – blowing stuff up in a flying death-dealing monster – and turns it into a low-energy slog. 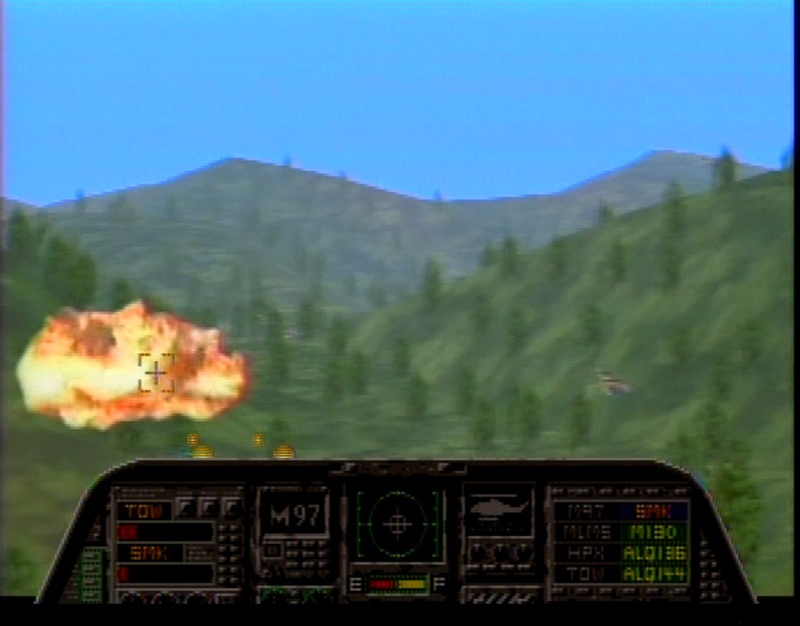 If you want a more rewarding FMV shoot-em-up, go play Cobra Command on the Sega CD. Ughh that looks horrible. At least with Cobra Command you have an animated world like Dragons Lair. This just looks… not fun. I was surprised by just how dull the game was. I mean, it really is the same thing as Cobra Command, and yet it’s somehow worse in every way. Enjoying the Mega LD reviews Taylor thank you. For a machine I would love to get my hands on, the games thus far seem rather dull. But looking back on Sega’s arcade Laserdisc games they were dull as well. Keep up the great work. I’m glad you’re liking them. I have to admit, I’ve been surprised by just how boring and generally un-fun the games have been on the LaserActive. 1993 was not a good year for the system’s library, but I’m optimistic that we’ll get some fun or at least more interesting games when we get to the 1994 releases.